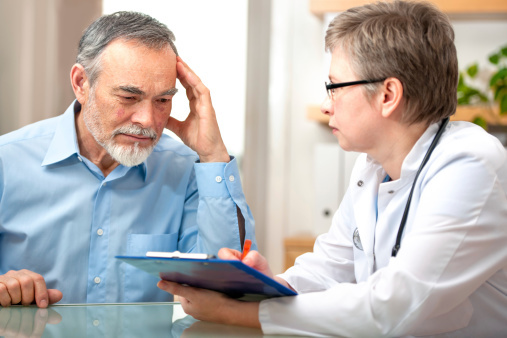 In a new paper published in the Annals of Internal Medicine, the American College of Physicians (ACP) advise that the best way to treat a patients as “a whole person” is by addressing mental health and other behavioral health conditions in their primary care. Primary care refers to the healthcare that people typically receive on a day-to-day basis, such as from a family physician or general practitioner. As of now, most primary care doesn’t address mental health or behavioral issues, as these cases are usually referred to a specialist—this is what needs to change, according to the ACP committee. By the year 2020, disability caused by disorders relating to mental health and substance abuse are expected to exceed disability caused by physical conditions—this is why addressing these types of issues within the realm of primary healthcare is so critical, according to the ACP. The ACP committee notes that patients with chronic disease and other physical conditions often also have behavioral health concerns. Physical illness has been increasingly linked to behavioral and mental health issues, such as sedentary lifestyle habits, inappropriate eating habits, and social isolation. As a result, these mental health issues have also been linked to higher rates of mortality, poor treatment results, and greater healthcare costs. In order to effectively incorporate mental and behavioral health care into primary care, the ACP has outlined a series of recommendations, including eliminating financial obstacles (e.g. include more coverage for mental health), getting rid of gaps in insurance coverage, and making use of government incentives to better train healthcare providers with offering behavioral care in a primary care setting. Crowley, R.A., “The Integration of Care for Mental Health, Substance Abuse, and other Behavioral Health Conditions into Primary Care: An American College of Physicians Position Paper,” Annals of Internal Medicine 2015; doi: 10.7326./M15-0510. Doyle, K., “Treat ‘whole person’ by bringing behavioral health into primary code: docs,” Reuters web site, July 2, 2015; http://www.reuters.com/article/2015/07/02/us-primary-care-behavioral-health-idUSKCN0PC2KX20150702.